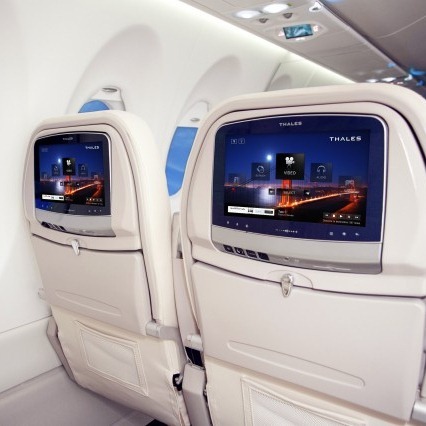 Boeing announced that it will offer two different entertainment systems for the 787, both of them running Android - the Panasonic eX3, and the Thales TopSeries Avant. However, more specific details have only been announced for the Thales model, which was shown off during a demonstration at the Farnborough International Airshow. The TopSeries Avant was shown in both 10" and 17" sizes, and for such specialized devices they feature fairly modern specs: a dual core ARM processor and 1GB RAM, and a whopping 256GB of storage, due to the fact that they are primarily media devices. Because their interface is so customized, it's difficult to tell what version of Android they are running, but given the time that these were produced, it's likely that they are running something fairly dated such as Android 2.3 or even 3.0. Fortunately, the 787s that these devices will be featured in will have access to in-flight Wi-Fi, so this issue could be easily remedied with (I apologize in advance for this pun) an in-the-air update. The Android-powered entertainment system has one last trick up its sleeve (though it is an optional addition and its availability may not be as widespread as the Avant itself). 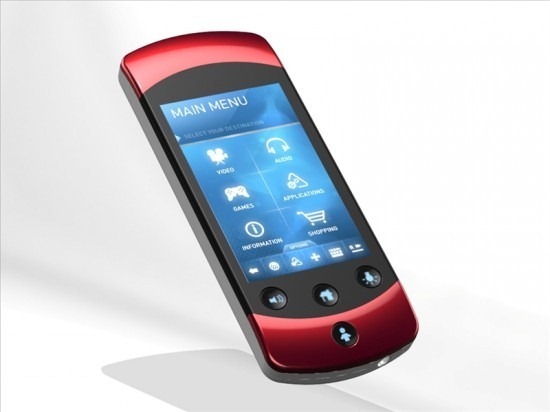 The Touch Passenger Media Unit (or TouchPMU) is a 3.8" handheld Android device meant as a companion to the Avant, with the ability to do just about anything your Android phone can do. There is no word, however, on the specs of this device. 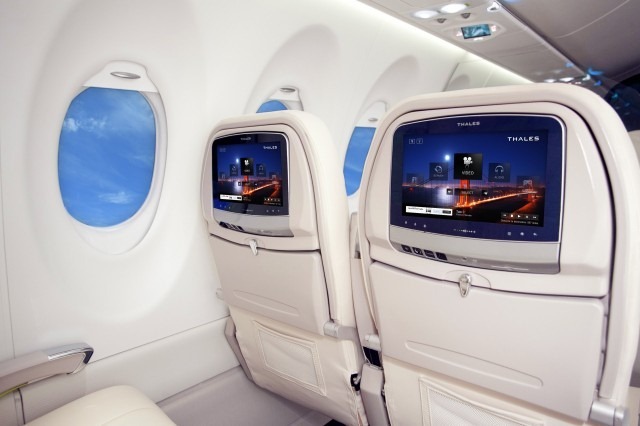 As of 2012, just 14 of 859 orders for the 787 Dreamliner have been filled, so it may be some time before passengers get a chance to experience Boeing's new Android-powered entertainment devices. That being said, it is a nice trend to witness, and one that shows the power and versatility of the Android platform.